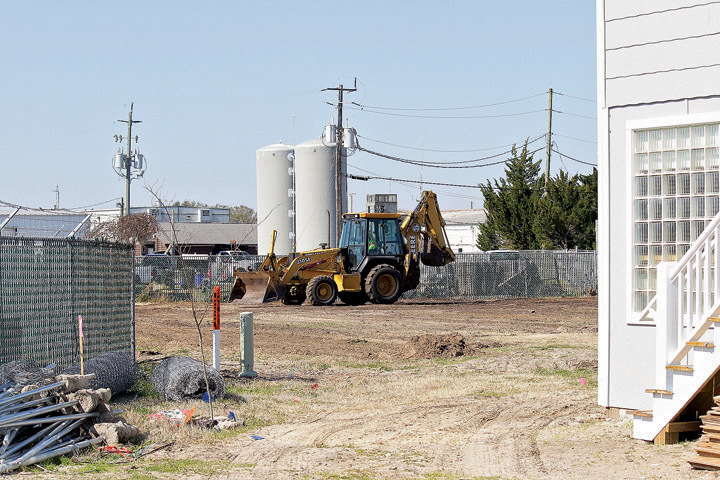 The new commercial lot being constructed behind the Southern Regional Office of the North Carolina Coastal Federation’s building within the town municipal complex is sparking concerns from groups within town. Two neighboring properties, including the federation and the Wrightsville Beach Museum of History, have expressed concerns about what the lot could mean for public safety, especially for the many children frequenting the area. The Wrightsville Beach Parks and Recreation Advisory Committee members are questioning why town staff’s concerns for the dog park proposed for the same location do not also apply to the new commercial lot. Many of those concerned were unsure of the details, including when the decision was finalized. The lot, which will feature slightly more than 40 spaces generating more than $10,000 in revenue, was approved Tuesday, March 25, during a continued Wrightsville Beach Board of Aldermen meeting along with a host of other parking changes. The neighboring properties were not officially notified, but the decision was made during a public meeting. Mayor Bill Blair said board members would revisit the lot’s successes and issues after the end of the season. The board may restrict the hours to end at midnight to ease some concerns. Owens said the town slowed construction to hear concerns from neighboring properties, and the goal is to complete the lot by the end of the week by moving fencing, adding bumper blocks and placing gravel on soft spots. Tracy Skrabal, N.C. Coastal Federation coastal scientist and district manager, said the federation wants to be good neighbors and partners with the town but has concerns about the access. “Our No. 1 concern, and it’s a big one, is for public safety,” Skrabal said. Skrabal and Madeline Flagler, museum director, found out about the lot Tuesday, April 1, when town employees were drawing chalk lines on the property. They are concerned about the access remaining as the main museum and federation access on Salisbury Street. 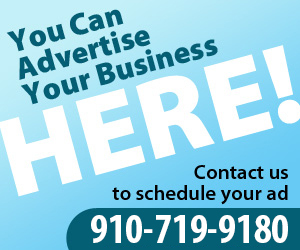 Other options would be to enter near the public safety building or near the University of North Carolina Wilmington’s marine science fish research facility, also off Salisbury Street. Concerned parties met Monday, April 7, but the original plan is scheduled to stay the same, with the lot entrance remaining as the museum and federation’s Salisbury Street entrance. Flagler said she has concerns about vandalism and the ability to fit another historic home within the lot with the current entrance location. “When they measured for the lot for the coastal federation, they also measured to make sure there was room for another historic building,” Flagler said. She added that the parking lot entrance location could set a precedent that would not allow movement of another historic building, like the Ewing-Bordeaux cottage, to the property in the future. Sue Bulluck, chairwoman of the Wrightsville Beach Chamber of Commerce, another neighboring property, said the chamber board has a different viewpoint than the other properties. “All three of us are nonprofit organizations, but our missions are very different,” Bulluck said. Unlike the other properties, Bulluck said she was not out of the loop, because she was at the hearing and has been part of the commercial lot discussion. The dog park discussion, proposed for the same location, fizzled in January after the parks and recreation committee received negative input from town staff. The location was the primary temporary debris management site for disasters and a stockyard for parks maintenance. “My only thought was, well, just be consistent if you’re going to say that area is not suitable for one thing,” said Elise Running, parks and recreation committee member who actively searched for the dog park location with Charlotte Murchison. Mike Vukelich, public works director, had two concerns about the chosen property: a location for storm debris and the narrow access’ proximity to one of the town’s major water treatment centers. “That’s going to limit our options in the event of a storm,” Vukelich said. A portion of the fence surrounding the water treatment center will be relocated to provide wider access.